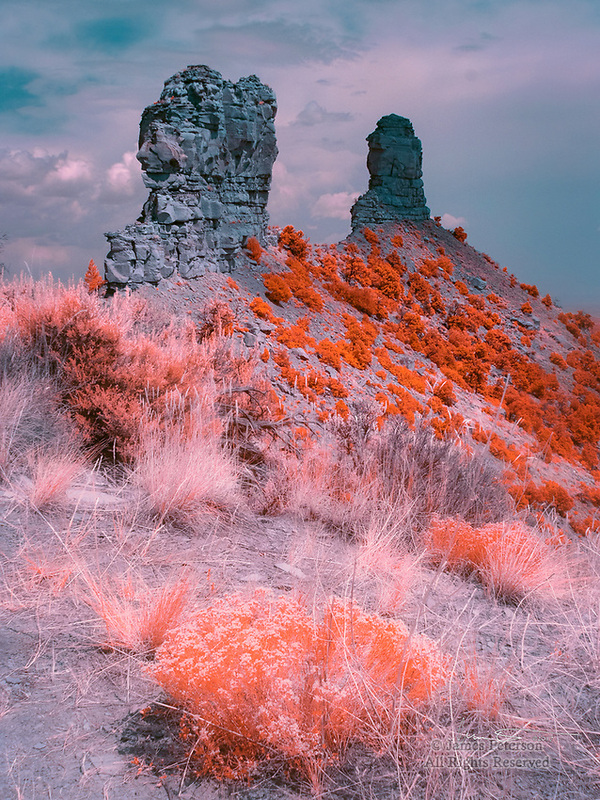 Chimney Rock, Colorado (Infrared) ©2017 James D Peterson. These two giant hoodoos, towering above a valley west of Pagosa Springs, look like a single spire when viewed from the east. They are visible from a great distance atop a ridge in a National Monument that is also the site of ruins left by ancestral Pueblo Indians.